One of the rare, sane, objective accounts of the tragedies of internecine warfare in the former Yugoslavia was presented by former British Foreign Secretary, Lord David Owen, whose “Balkan Odyssey” recounts his intimate personal knowledge of almost every aspect of that horrific struggle, and places it in the historic context required for understanding the xenophobic passions that have sometimes characterized those atrocities. We all learnt at school that on 28 June 1914 the heir to the Habsburg throne, Archduke Franz Ferdinand, was assassinated while visiting Sarajevo. Yet I suspect I am not alone in never realizing that the visit was made with deliberate Austrian provocation on Serbia’s National Day, comparable – according to the historian A.J.P. Taylor – to sending a member of the British royal family to Dublin on St. Patrick’s Day at the height of the troubles. 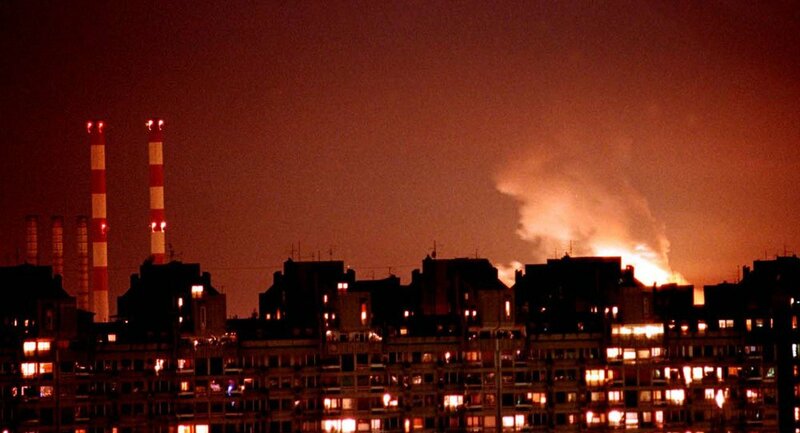 On 23 July the Austrian government, knowing that the assassination had been done by a Bosnian Serb with the nationalist motive of achieving a greater Serbia, sent a threatening and humiliating ultimatum to the Serbian government. The British Foreign Secretary, Sir Edward Grey, offered to mediate and attempted to persuade the German government to restrain the incompetent militarists in Vienna. Despite the Serbian government accepting virtually every demand and satisfying Kaiser Wilhelm sufficient for him to comment ‘every reason for war disappears,’ on 28 July Vienna declared war and the Austro-Hungarian armies started to bombard Belgrade. Within six weeks Grey was declaring ‘the lamps are going out all over Europe,’ and a war which claimed 8 million lives in Europe had begun. In April 1941 Germany attacked Yugoslavia and the German Luftwaffe bombed Belgrade, killing between 5,000 and 17,000 civilians. Hitler proceeded rapidly to dismember Yugoslavia, giving parts of it to Nazi Germany’s allies Hungary, Romania and Bulgaria. The Nazis also endorsed the creation of the Independent State of Croatia (NDH), which included Bosnia-Herzegovina, divided into German and Italian spheres of influence, with the Croat Fascist Pavelic as its puppet ruler. Over the next few years Pavelic and his armed Ustashas committed atrocities and massacres of an unspeakable kind. Later Nuremberg judged what happened to the Serbs at the hands of the Croats and the Germans as genocide. No one knows exactly how many Serbs were killed The Serbs say three-quarters of a million, the Germans 350,000. Whatever the number, it is hard to deny that these killings are an essential part of the background to the wars of disintegration today in the former Yugoslavia. ..Although there were cases of Ustasha atrocities against Muslims, there were also other incidents where Muslims were encouraged by the authorities to massacre Serbs. 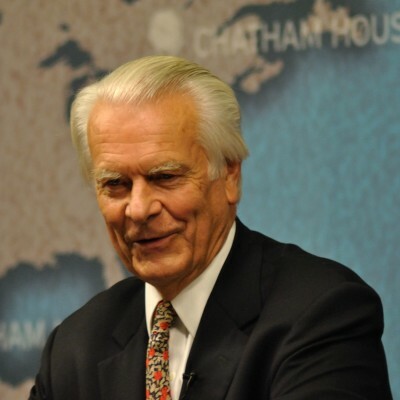 Lord Owen’s voice of reason and objectivity, and his determination to negotiate a peaceful end to the bloodshed in the Balkan wars was sabotaged by those whose geopolitical agenda was impeded by the Vance-Owen Peace Plan, and the efforts by Lord David Owen and former US Secretary of State Cyrus Vance to achieve a negotiated settlement of the crisis. Lord Owen was unpopular with the mainstream media, which was promulgating the US-NATO agenda, obsequiously cultivating Bosnian President Alia Izetbegovic, whom they, with great familiarity nicknamed: “Izzy,” while waiting sometimes twelve hours on a Sunday at the VIP entrance to the Secretary-General’s office, hoping for further opportunities to ingratiate themselves with him. Agrees that acceptance of the tragic events at Srebrenica as genocide is a prerequisite for reconciliation, calls upon political leaders on all sides to acknowledge and accept the fact of proven crimes as established by the courts, and in this context, condemns denial of this genocide as hindering efforts towards reconciliation, and recognizes also that continued denial is deeply distressing for the victims. The West’s attempt to demonize the Serbs, a loyal ally of Russia, is discredited by that most courageous and honorable Englishman, Lord David Owen, who recognized, both that blame and responsibility must be shared by all parties to those deadly conflicts, and that there was a historic context that could never be ignored, which fueled the hatreds. As Jews could never forget Auschwitz, and the genocide called the “holocaust,” as Armenians could never forget the massacre by the Turks, which the UN has declined to describe as genocide, so the Serbs and the world should never forget the Jasenovic Concentration Camp, where more than half a million Serbs were hideously murdered, with the blessing of the Vatican and Pope Pius XII. The Nuremberg Tribunals described the massacre of the Serbs during World War II as genocide.